Welcome back. 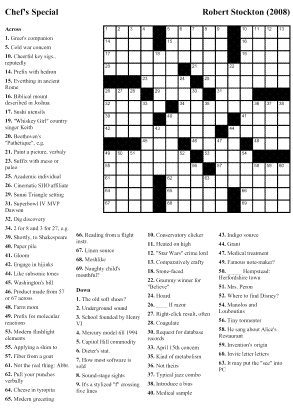 It is once again Wednesday, which means that it’s time for a new free crossword puzzle, and time for me to once again find something fascinating to say about it without actually giving away the theme. Unfortunately, I’m tapped out this week. Our panel of reviewers have told us that it ranks as a Wednesday/Thursday on the NYT difficulty scale, but beyond that you’ll just have to accept that it’s a really nifty puzzle with a really boring description. Tune in next week and maybe we will return you to your usual witty banter. 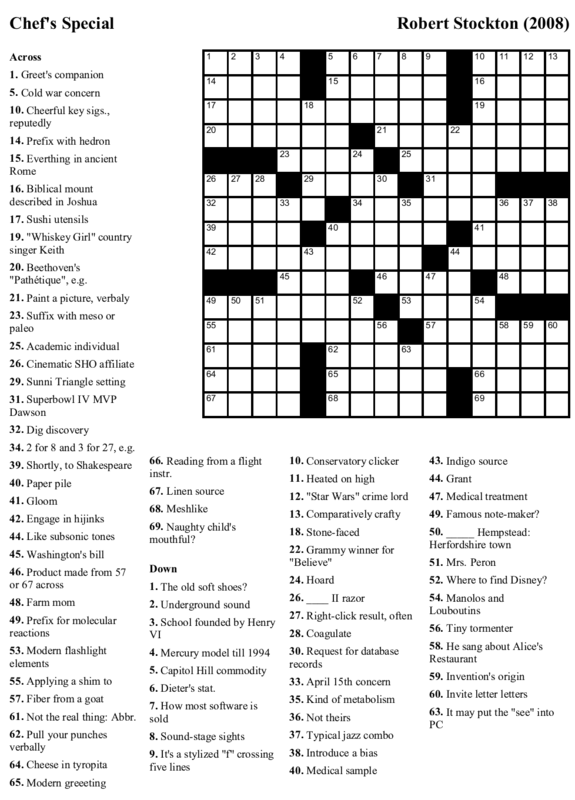 As usual, you can download the puzzle in your choice of format: either as an Across Lite file or a printable PNG image. Enjoy. Welcome back. 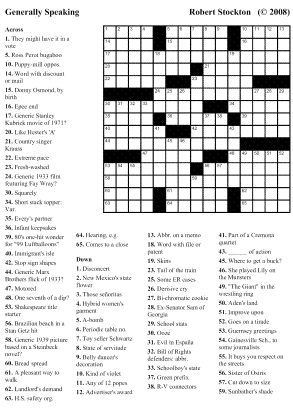 It’s Wednesday again, and that means its time for a new crossword puzzle. 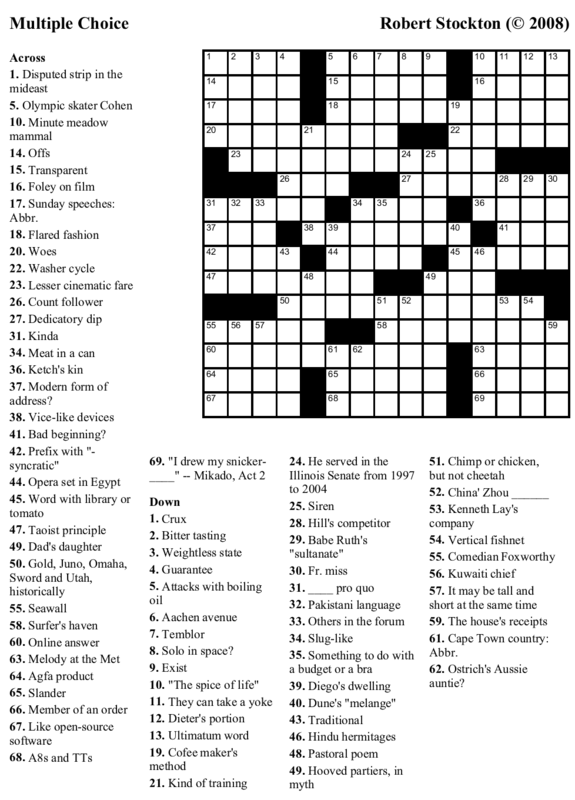 Luckily, a quick glance at the picture to the left tells us that this week’s offering is just that — a crossword. For further details you’ll just have to download it (in either Across Lite format or as a printable PNG image) and check it out for yourself. We can, however, tell you that it scores at approximately a Wednesday level of difficulty — not too hard, and not too easy. Oscar: I got brown sandwiches and green sandwiches…. Well, what do you say? Oscar: It’s either very new cheese or very old meat. Murray: I’ll take the brown. 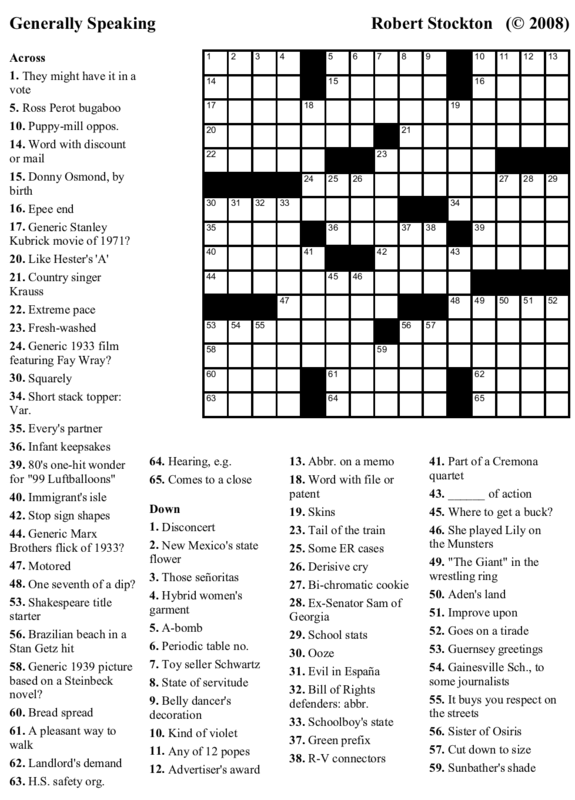 This weeks puzzle offers a tasty treat for all audiences, as it is geared to be somewhat simpler than many of our offerings — somewhere around a Monday/Tuesday on the New York Times spectrum. 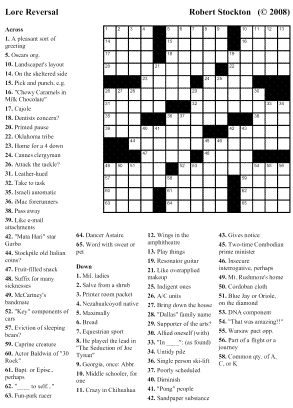 Thus, this crossword acts a cruciverbalistic fettucine bolognese — simple, yet richly flavored. 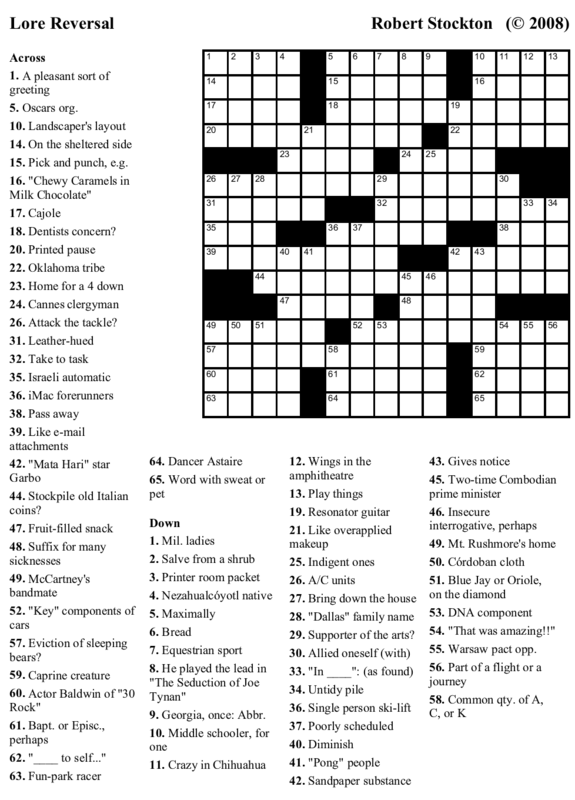 Hopefully it will suit your puzzling palate. However, in traditional fashion, we are serving it in our usual flavors — either as an Across Lite file or as a printable PNG image. Bon appétit. Hamlet: To be, or not to be? That is the question. Regis: Is that your final answer? 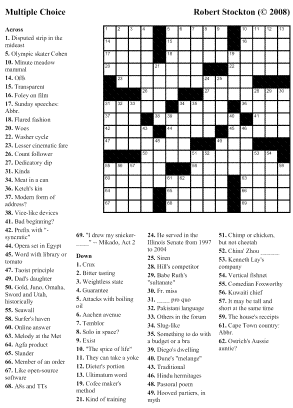 This week’s crossword puzzle may be called “Multiple Choice”, but we’re actually giving you the same choices we always do. You can download your puzzle in Across Lite format; you can grab a printable PNG image; or you can leave it unworked and unappreciated on our server. Either way, the cost to you is the same — nothing at all.